The episode begins with a flashback fifteen years ago to a juvenile secure unit in Plymouth, Massachusetts. Garrett visits Ward to recruit him after learning about his impressive strength and hand-eye coordination. Ward had apparently set his house on fire, not knowing that his brother was inside. He tells Ward that his parents are on the way with their lawyer, fully intending to charge him with murder while his older brother plans to petition to have him tried as an adult. Ward says he doesn't know how he can trust him and Garrett tells him that's good and that he shouldn't trust anyone ever. The team sees on the news that Deathlok recently killed a Colombia drug lord but they have no idea why. Coulson explains to the team that Cybertek is the common thread connecting everything they have been dealing with. Skye's trojan horse has been slowly mapping out all the systems Garrett and his minions have been linking up to. May says they will go into one of the facilities with a server on it since Skye needs plug her hard drive in. Fitz still wants to believe in Ward, insisting soemthing must have happened in order for him to betray them, even going so far as to consider the possibility of one of those eye monitors. May and Coulson are the ones to go undercover as former SHIELD scientists and visit a Cybertek facility. Skye hacks into the system and tells May and Coulson to head to the fourth floor where there is an extra reinforced room that likely contains the mainframe. When Coulson and May break in, they find that there isn't an actual mainframe because everything is on paper in filing cabinets. Raina speaks with Deathlok/Mike and reveals that she is looking at Skye's DNA, having developed a fascination with her for a reason as yet to be explained. Coulson and May find Mike's folder and learn that Garrett was patient zero in the Deathlok project. They let the team know to prepare for a large file transfer and when they ask how large, an entire filing cabinet is thrown from the fourth story window. The team loads that up and then Tripp shoots a zip line into the building which Coulson and May come sliding down on. Ward and Garrett are arguing, with Garrett telling Ward he is and always has played the victim. He then begins to suffer from chest pains and Ward brings him to medical, where he begins hooking some metal on his torso to some cables. May and Skye have a private moment in which Skye wishes she could be as zen as May but May assures her that she does feel a tremendous amount of anger but it is stowed away and will be unleashed when the time comes to take Ward down. Garrett is dying, albeit slowly, and needs the GH325 in order to heal himself. Raina tells Ward a story she heard about monsters tearing a village apart trying to find a baby (Skye) and what was particularly interesting about it was that the monsters were the baby's parents. The flashbacks of Ward and Garrett continue throughout the episode. Following the breakout, Garrett left Ward in the woods with his dog and told him to try to survive for a few weeks. He ended up leaving him there for six months, as he was called away on assignment. When Garrett and returns and finds Ward alive with a whole camp set up, he begins to teach him how to shoot. Raina is able to provide Garrett with a sample of GH325 she has synthesised. Fitz and Simmons track the Bus down to an air field in Santa Maria but Coulson tells them to wait for them and keep their distance from it until they arrive. They disobeyed this order and boarded the Bus where they were quickly caught by Ward and Garrett. Fitz lets out a pulse of electricity that causes problems for Garrett's circuitry. Fitz pleads with Ward to just let Garrett die. Young Ward had been left in the woods with occasional visits from Garrett for several years until he was tough enough to be recruited into HYDRA. 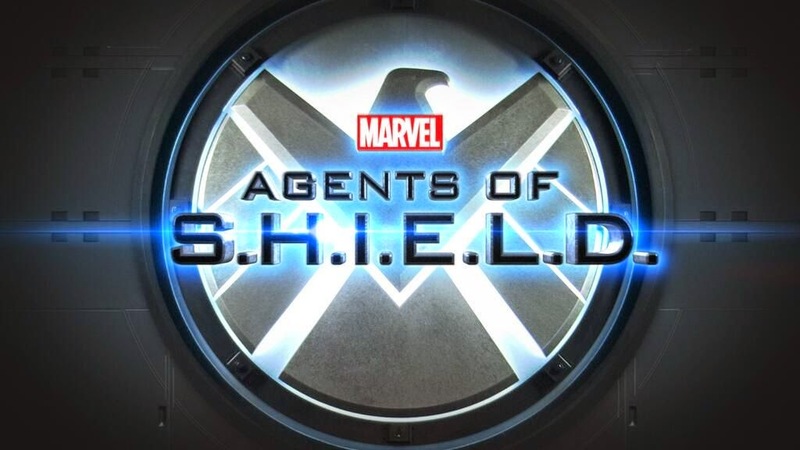 Garrett eventually tells him he has been accepted into SHIELD and warns him he cannot get attached to anyone if he expects to be successful as an agent of HYDRA within SHIELD. He then tells him to kill his dog Buddy before they will leave the woods for good. In present day, Garrett tasks Ward with killing Fitz and Simmons, saying the same words he had when telling him to kill Buddy. "That's not a weakness, is it?" Ward leaves Raina alone with Garrett, who shows her his insides that reveal he has been injected with the Centipede serum but he is too far gone now. He tells Raina to give him the GH325. Raina injects the GH325 into Garrett's body and he is restored with superhuman abilities. Fitz and Simmons escape their guards and run into a room, locking the door behind them. Fitz pleads with Ward, insisting he is a good person. In a flashback, we see Ward shoot his gun to make Buddy go running off. It is then implied that he or someone shot Buddy from afar with a sniper rifle. Ward triggers the room that Fitz and Simmons are in to be dropped into the ocean but I doubt that they're dead. The team later breaks into a facility and find many more Centipede soldiers. Garrett had ordered Deathlok to take out enemies of the American government in order to win them over and get commissioned to produce more super-soldiers.